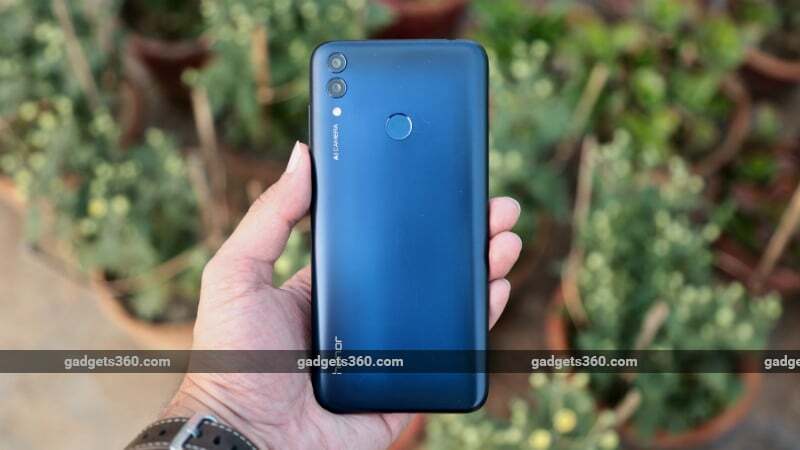 Honor 8C was launched in India on Thursday. The new budget smartphone by the Huawei sub-brand Honor features a 19:9 display panel with a traditional notch. It is also powered by an all-new Snapdragon 632 SoC. The smartphone has a face unlock feature that uses the frontal camera sensor along with an artificial intelligence (AI) algorithm to recognise facial features of users. Gradient colour options are also available on the Honor 8C that brings it against other Honor smartphones. Alongside the Honor 8C, the Chinese brand has launched the Honor Band 4 in the country, but didn't detail price or availability at this stage. The fitness-tracking band features a 0.95-inch OLED display and comes with heart rate monitoring capabilities. To recall, the Honor 8C was launched in China last month with a price tag of CNY 1,099 (roughly Rs. 11,000) for the base variant, while its 64GB storage variant is available at CNY 1,399 (roughly Rs. 14,100). The Honor Band 4, on the other hand, debuted in the Chinese market at CNY 199 (roughly Rs. 2,000) back in September.